Apart from regular trips just to experience the underground world, members will be found actively involved in original exploration. There are many extensions and discoveries in the area that can be attributed to club members. The recent major discoveries of Ogof Carno and Crescent Cave were made by members of BCC as well as extensions in Ogof Draenen, Ogof y Darren Cilau as well as many small excavations. 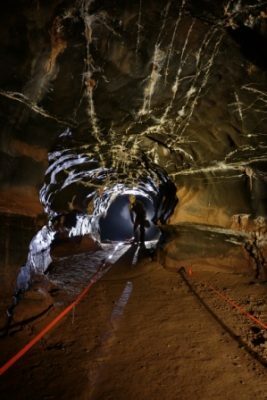 If you are interested in discovering more about the diverse, often awesome, frequently beautiful, underground world that exists near to Brynmawr, then joining a caving club is probably the best and safest way to do this. Caving clubs have a wealth of experience available in their members, and usually more than willing to introduce newcomers to the sport to the delights of getting wet and muddy. 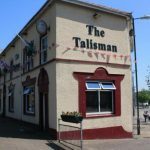 New members are always welcome, experienced and inexperienced alike, just come along to one of our monthly meetings at the The Talisman Pub, Market Square, Brynmawr and make yourself known. We meet on the first Monday of the month, unless that falls on a bank holiday, in which case we meet on the second Monday. We try to start at 8:00pm, although this can be a bit variable. Meetings are always very informal with more emphasis on the social side of things, with a large quantity of beer usually being consumed. The club constitution allows for three forms of membership: ordinary membership, family membership and junior membership. For more information, please contact the club secretary, get in touch via our Facebook page or use the contact form below. Brynmawr is situated about ten miles up the A465 Head of the Valleys road from Abergavenny and roughly twenty-five miles from Cardiff.